An Alaskan from the sport fishing industry has been appointed to the International Pacific Halibut Commission or IPHC. 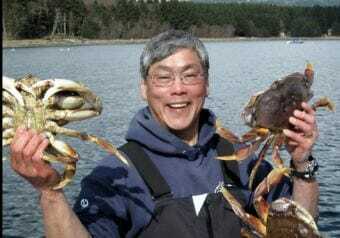 Richard Yamada was appointed to the commission along with Robert Alverson of Seattle, who currently serves as one of the U.S.’s three commissioners. Yamada owns Shelter Lodge just about five miles outside of Juneau. He’s been involved in the charter fishing industry for 37 years and currently serves on the Alaska Department of Fish and Game’s Juneau-Douglas Advisory Committee. He also serves on the national Marine Fisheries Advisory Committee. Historically, commercial fishermen, processors and government employees have served both the U.S. and Canada on the commission. Yamada said despite his background, the goal on the commission will remain the same. “At this table, the IPHC, we’re there to really look at managing the total entire stock in a sustainable fashion. The motivations might be different, but we’re working together at that level to really look at a sustainable fishery for generations to come,” Yamada said. Yamada takes over commissioner Linda Behnken’s seat, who has served on the commission since 2016. Yamada will be joining the commission at a fickle time in its history. U.S. and Canadian commissioners have been at odds over cuts to catch limits and the distribution of the catch between regulatory areas in both countries. Commissioners have been meeting informally to work out some of those differences this summer, though it’s unclear if they’ve reached an understanding. It’s also unclear how long Yamada and Alverson will serve on the IPHC. The Trump administration is charged with appointing commissioners, but it did not make any appointments before the Aug. 31 deadline. The Secretary of State and Secretary of Commerce appointed both Yamada and Alverson until Jan. 31, 2019, just long enough to make it through the commission’s annual meeting cycle.